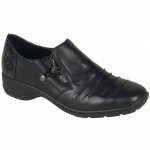 Rieker Mauritius 58353 women's full shoe. It features a leather upper with ruched detail and black patent tear drop effect on the heel. A slip on style with two elasticated gussets that allow for adjustability and allow the shoe to be put on and taken off with ease. 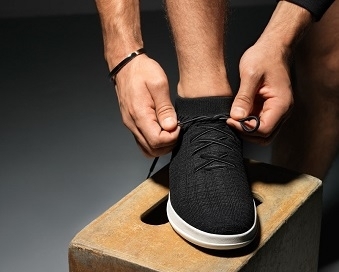 Rieker's Anti-Stress technology provides shock absorption and flexibility while the cushioned insole provides lasting comfort, making it ideal for everyday wear. 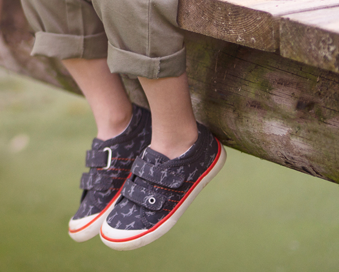 Underfoot, it sits on a 35mm wedge heel and is available from a size 36-41.